Just three days after the fatal shooting of Anwar Al-Malouk near Jabalia, the Israeli military has murdered another Palestinian civilian despite a supposed ceasefire being in place. Mustafa Abu Jarad, 20, was one of a group of bird hunters working on a plot of land in an area north of Beit Lahiya in the very north of the Gaza Strip, over a kilometre away from the border fence. From the border, the Israeli army began firing heavily in their direction and immediately targeted Mustafa directly in the forehead. The group had thrown themselves onto the ground and when the situation calmed enough for them to move they realised that Mustafa had been hit. The bullet went straight through Mustafa's head leaving a massive exit wound. 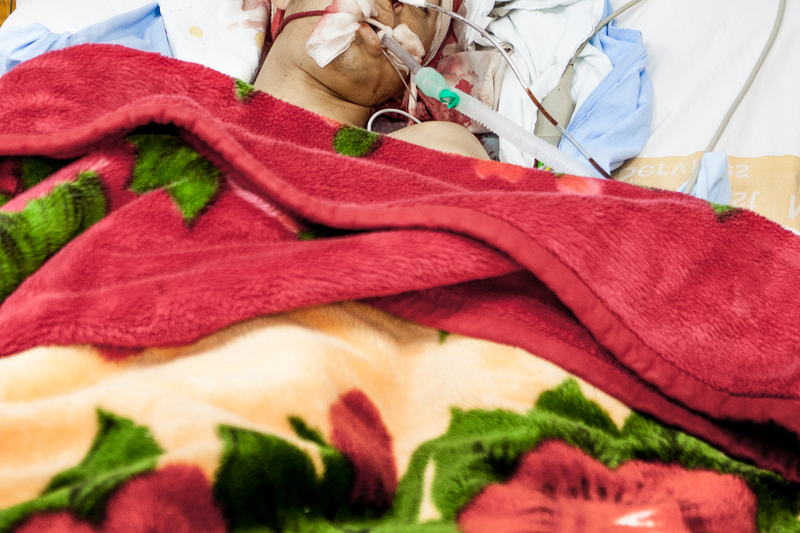 He was rushed to Kamal Adwan Hospital in the north of the Gaza Strip but was finally transferred to Al Shifa, Gaza's main hospital, due to the severity of his injuries. He arrived in a critical condition and underwent emergency surgery to remove bone fragments from the remaining part of his brain and to relieve internal bleeding. Unfortunately, he had sustained a massive brain trauma and his prognosis was bleak. He died in the ICU a few hours after the operation as his family anxiously waited for news. Mustafa's older brother, Loay, was killed two and a half months ago whilst active with the Palestinian resistance. Mustafa had no involvement with the resistance himself. He was trying to earn a little extra income for his family whilst he completed his studies. The latest attacks increase the number of Palestinian casualties since the ceasefire announcement to nearly 80. When will the international community take notice - and furthermore take action - to prevent an escalation of bloodshed?